To create the urban planning department of a megalopolis from scratch… In 2013 I received this interesting offer from the new mayor of Mexico City. Until then I had worked in the world of culture (as a journalist, a director, a visual artist, and experimental curator), also providing consulting for universities and companies in the area of creative practices and the formation of multidisciplinary groups. To be granted a free hand to imagine a department that would give form to my long-term obsession with Mexico City seemed like an exceptional opportunity. Five years have passed since then. Today Mexico City has its Laboratorio para la Ciudad: the experimental and creative division of the government, reporting directly to the mayor. The Lab has become a place in which to think about the city from various perspectives, with work that touches on many aspects, including urban creativity, mobility, governance, civic technology, public space, etc. We firmly believe that the biggest non-optimized resource is the talent of the citizens, and this is why the Lab tries to establish ties between the civil society and the government, constantly shifting its shape to welcome multidisciplinary collaborations, as a starting point, on the importance of political utopia and social creativity in the implementation of its experiments. 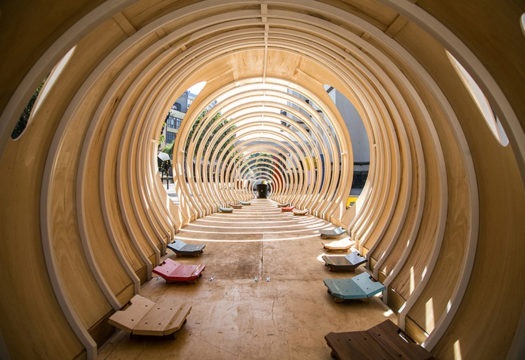 Our everyday practice ranges from the approval of new laws (Open City Law) to the organization of small projects in public spaces with artists, architects and designers. Apart from the variety of the tangible experiments, what interests us is also to manage to understand the city through the invisible forces that cross it: its everyday dynamics, the social energy that gives it form, the various talents that converge in a megalopolis. 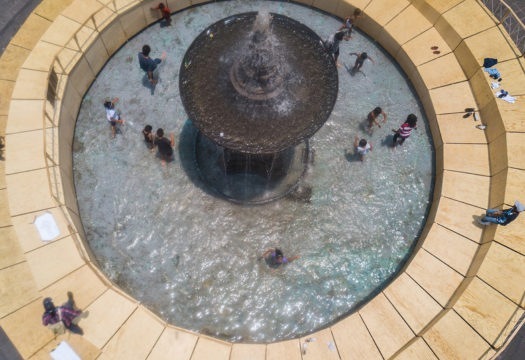 We are curious about how we can think of (and create) our urban spaces, not just on a physical plane, but also on a symbolic plane; participatory architecture allows us to redefine public space and to understand, from other perspectives, how ideas are propagated and how communities can take form around them: another way of making a city. Reading and narrating the city from different viewpoints is one of the main objectives of Laboratorio para la ciudad. For the same reason, one of its tasks has been to organize various encounters – international conferences and seminars, debates, dinners (sobremesas), workshops, etc. – justified by the innate tendency of human beings to constantly analyze their aspirations in terms of individual and social life, in relation to the city and its neighborhoods, and the presence of spaces of impact (advocacy) for the creation of other social and urban realities. We still have much about which to think, talk and discuss… above all in a city like ours, fascinating and complex, with an extremely diversified population and an urban DNA that changes drastically from one district to another. Diseño para la Ciudad is an initiative of LabCDMX that tries to critically and collectively (re)define the role and creative potential of design and designers in processes for the city in which we live, but above all for the city in which we would like to live. In this sense, the initiative trues to bring together the efforts of these professionals with players from the government, the civil society, and all the inhabitants with the ‘right to the city,’ in a fundamental challenge for research and practice in the field of design. We try to analyze – starting with an urban situation in constant change – the way in which the discipline can really influence the processes of urban shaping, tangible and intangible, and the everyday life of Mexico City and its inhabitants. The designations of UNESCO and World Design Capital 2018 have brought out the urgent need to rethink the notions, principles and possible futures of design. Starting with the round tables that have been organized, Comunidades de la Práctica have taken form, work groups oriented towards understanding the challenge Mexico City will have to face in the years to come. These challenges can be summed up as follows: to generate critical reflections on design (or designers); to demonstrate the utility and potential of design for the improvement of the city; to develop concrete programs and projects that contribute to more sustainable and meaningful urban lifestyles; to structure decisions or initiatives of development in a participatory way; to pass from the individual expression of designers to expression based on a choral, shared imaginary. One of the main tasks of the Lab is to organize hybrid and dynamic ecosystems around its various assets, exploring their social energy with political intent. 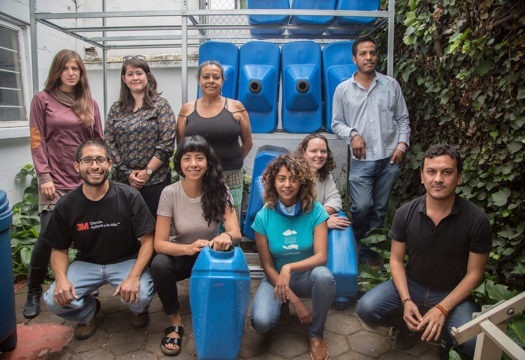 The Comunidades de la Práctica come into being as working groups that take their cue from a shared theme or interest, and they function as platforms of learning, dialogue and feedback capable of pushing people towards the assimilation of resources and tools of collective creation of new social relations. That which in the final analysis generates new (re)cognition, makes the (re)definition and (re)creation of the environmental context concrete and practical. At times we forget: a city is always constructed by its inhabitants. And the cities we create – as Henri Lefebvre has already said – also end up shaping those who live in them. It is part of the right to the city – the idea that city should be for everyone. 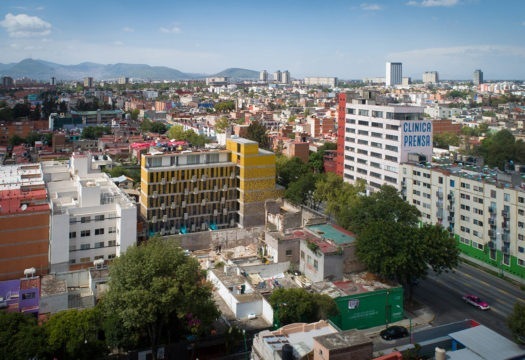 And in this fascinating task of ‘making the city,’ taking the UNESCO listing as a creative capital as our starting point, the Lab of Mexico City has decided to form work groups around important themes – education, activism, future, strategy, play, sport, immigration – to be able to reconfigure the way we think about design in the city. The Design + Education Community has the goal of discussing the limits of design education and the conception of design as a discipline. For this occasion, we have brought together, for the first time, the six most important universities of design in Mexico City, both private and public. The mission is to give rise to new pedagogical methods that facilitate the birth of wider-ranging ideas about the creative potential of design and its impact on society. The institutions that have taken part in the community have developed the collaborative Inter-University project: a process that sees design as a means to engage students and professors in open, pluralist and collective platforms, through which to propose urban and social alternatives, giving them concrete form and testing their efficacy with respect to the challenges raised on a daily basis by a complex society such as ours. The Design + Activism Community, on the other hand, brings together designers who have ventured into contexts with a clear social component – from the design of rainwater collection systems to forms of protection of human rights through playful interventions, capable of catching the attention of the public and the media regarding certain specific problems. The Design + Play Community is closely connected with the asset of the Ciudad Lúdica of the Lab: a strategy of research-action to understand how play can reconfigure the urban imaginary, stimulating citizens – starting with children – to play an active role in the process of the design and growth of their city. Play activity is capable of regenerating under-utilized spaces, fostering alternative forms of resilience, to improve the various ways of inhabiting the urban fabric. And these are just three of the main work groups. Site-specific artifact for a public space in Mexico City. A project of the Comunidad de la practica Diseño + Juego. 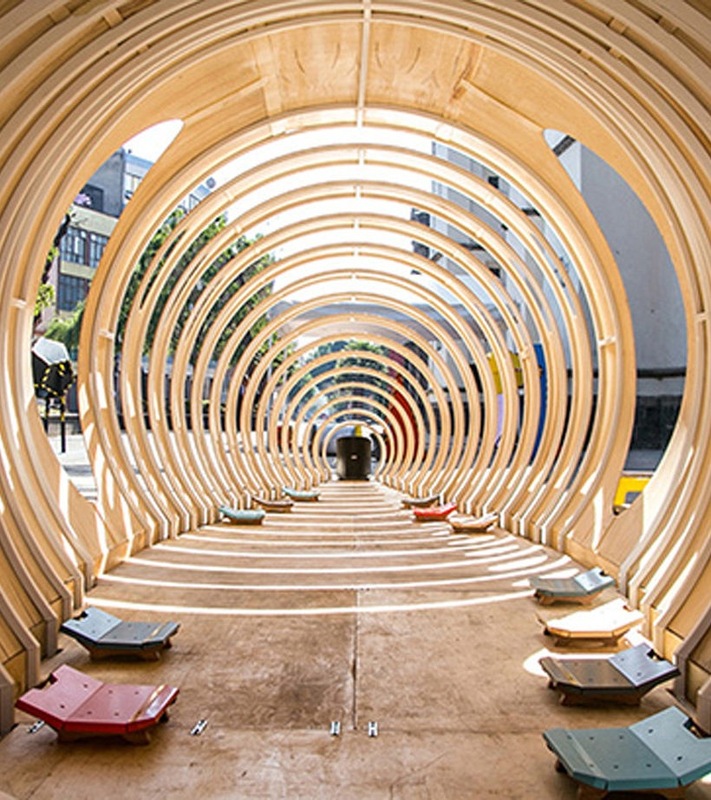 Aros, project in urban space implemented by the Comunidad de la practica Diseño + Juego. 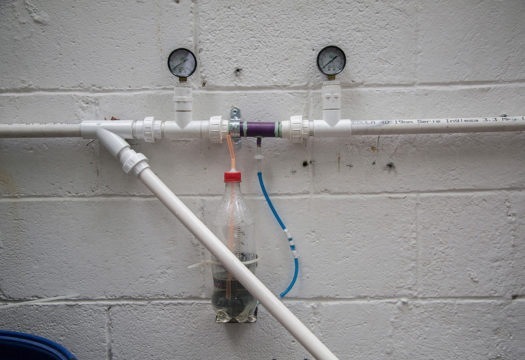 Rainwater collection system (Renata Fenton, Isla Urbana), a project of the Comunidad de la practica Diseño + Activismo. Comunidad de la práctica Diseño + Activismo. 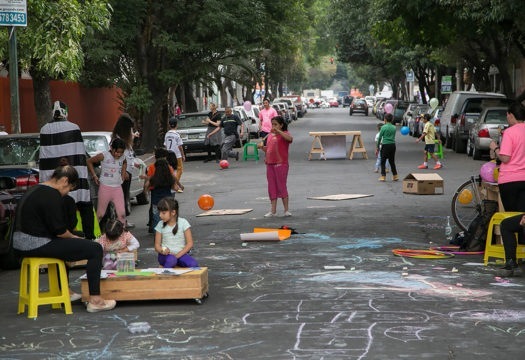 A portion of urban street on children’s scale, project by the Comunidad de la practica Diseño + Juego. 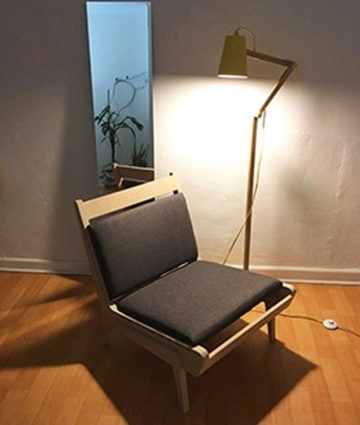 A story still to be written, inspired by the modernist chair designed by the Cuban architect Clara Porset (1895-1981) who taught at the Universidad Autónoma de México (UNAM), one of the historic university schools of industrial design in Mexico City. 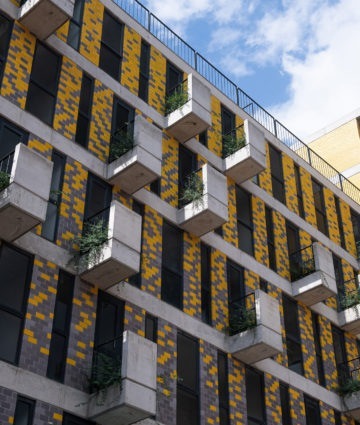 Guerrero 108, a recent project of low-cost housing in Mexico City, by Rojkind Arquitectos, Agustín Pereira, VOX Arquitectura. Photo Jaime Navarro. Guerrero 108, a recent project of low-cost housing in Mexico City.